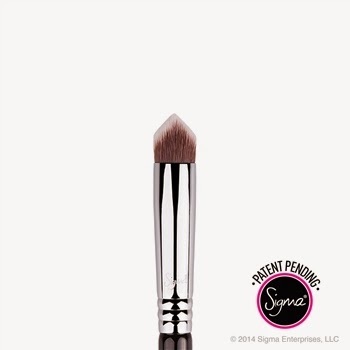 Sigma Beauty 3D brushes are multifunctional and are great to apply liquid, cream and powder products on each curve, crease and angle. 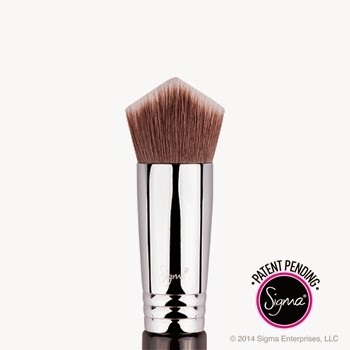 The 3DHD Kabuki brush is designed for all areas, while the 3DHD Precision brush is for smaller areas of the face. Ridge: The ridge is angled, so it allows you to reach the hard-to-reach areas. 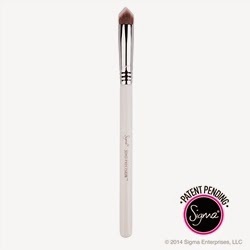 Its structure allows you to apply foundation without having to move a single muscle of the face. Double wedge flat surface: You can apply product using one side of brush and use the other side to smooth it out for a streak-free application. Point: The sharp point can be used for precision application. It's great for under eye area and around the mouth. Dimensions and density of fibres: Dimensions provide fast application and the density of fibres buff products into skin. Also, the fine fibres provide coverage of skin pores. Multifunctional: You can use it to apply liquid, cream or powder products. I personally don't use it for powder products though. I prefer using it with liquid/cream products. You can use it to apply the product and blend it out. Streak-free application: You can use one side of brush to apply the product and the other side to smooth it out for a streak-free application. Great for hard-to-reach areas: The sharp point is great to apply product on hard-to-reach areas (under eye, around the lips, eyebrows). It's also great to clean up those areas. 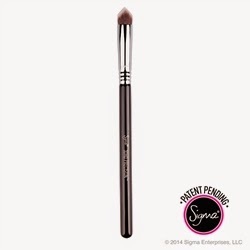 Provides great coverage: I love the coverage I get with these brushes. It certainly gives more coverage than using a beautyblender. 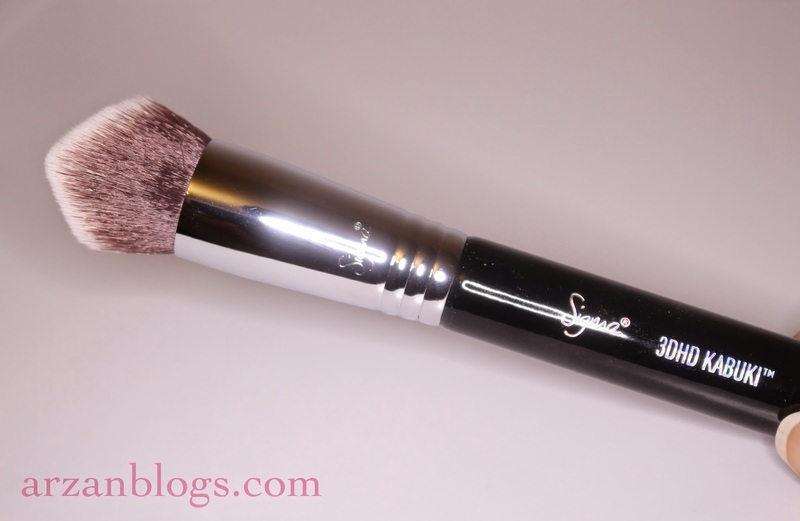 In comparison to BeautyBlender: This brush gives you a better coverage than a beautyblender. I personally like a more dewy look, so sometimes I look using my beautyblender to sheer it out. Also, beautyblender is great for creamy or thicker consistency. If it's too thin, it will absorb the product) so in that case I prefer using brushes. In comparison to Sigma Flat Kabuki (F80): There's not much difference between these two brushes. 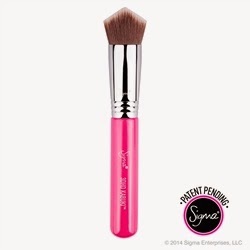 It gives you same coverage but 3D brush just gives you a more precise application. However, if you already have a flat kabuki brush and you're not looking for precision, than you don't need this brush. Precise application: If ever you need a smaller brush to clean up or apply products on hard-to-reach areas, then this is great. Not great for under eye area: It takes much longer to blend concealer/highlighter under the eye area. I prefer using a beautyblender instead. In comparison to BeautyBlender: This brush gives you a better coverage than a beautyblender but it takes longer to blend out the under eye area, so I prefer using beautyblender instead. Not a must-have: I find it can be inconvenient. It does give you precision but I barely use this brush. 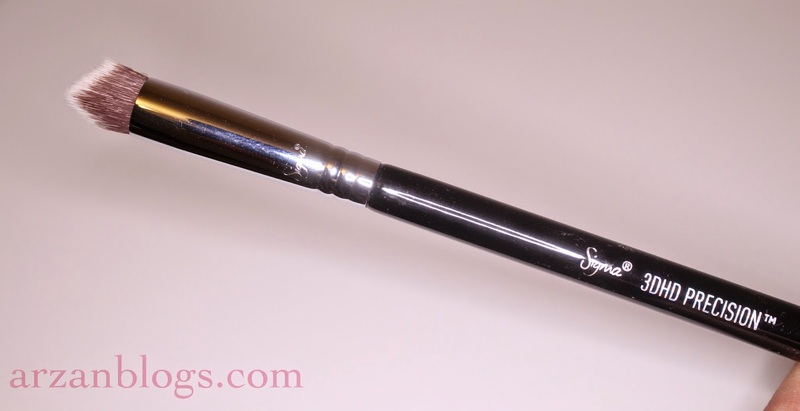 If you're on a budget and you're debating whether you should get this brush, I'd say skip on this one and get the 3DHD Kabuki brush instead. These are great quality brushes and totally worth the price. 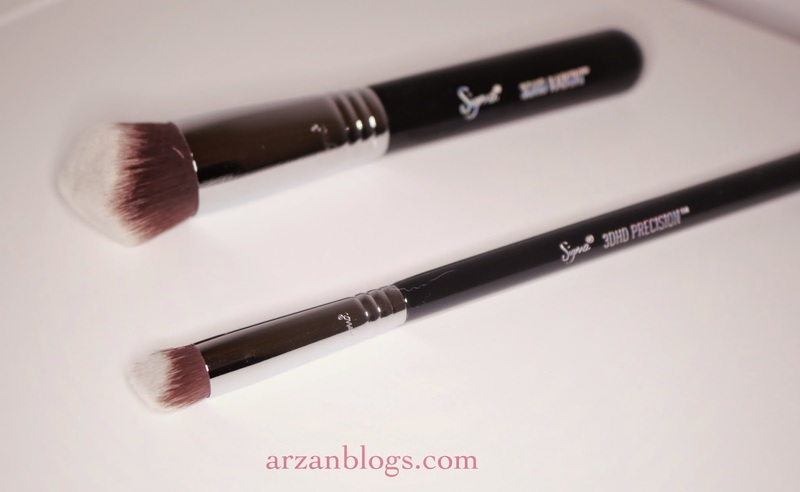 However, these aren't must-haves if you already own brushes that you're satisfied with. If you're building your brush collection though, then I'd recommend getting 3DHD Kabuki because it's multifunctional and you get more out of your buck. On the other hand, you can skip the 3DHD Precision because it's not as useful as the kabuki one. If ever you do want more precision and don't mind spending the money on these brushes, then I'd recommend buying them. I don't regret buying them at all because I know I will use them (I use 3DHD Kabuki more).